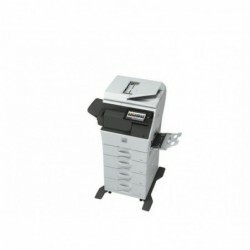 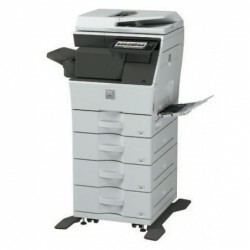 35 PPM Desktop Monochrome Multi-Function Document System Copier, Printer, Scanner, Fax. 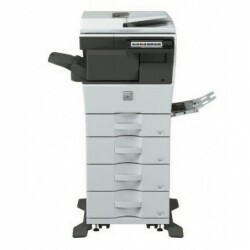 Base models include multitasking controller, 100-sheet DSPF, PCL 6 and Adobe PostScript® 3™ printing systems, network scanning, auto duplexing, 1 x 500-sheet paper drawer, 50-sheet bypass tray. Options include up to 4 500 sheet paper drawers, high or low stand, staple finisher.